6936. Emmanuel: God has come to live with us! Six-thirty a.m. on a school day. No amount of sugar-coating will make it less ugly, so I'll just be frank: I threw a colossal temper tantrum. Complete with name-calling and kicking a kitchen cabinet. I yelled. I slammed dishes around. I shamed and belittled a seven-year-old. Just seeing this description of myself in black and white makes me want to crawl in a hole...but there it is. By the time we needed to leave, I wasn’t yet truly feeling sorry. I hate to admit it, but I didn’t have a sincere desire to repent and reconcile with my kids. I was still angry—a combination of anger over the original trigger, and anger at myself for acting so irrational and out-of-control. Mercifully, I had a moment of clarity, realizing that if something happened that day, and the last interaction I had with my son was this shameful tantrum, I’d never be able to live with myself. So I knelt down and looked in his eyes. I told him that although I had been angry, that didn’t make it OK for me to yell at him and call him a baby, and I was wrong to treat him like that. I apologized and asked him to forgive me. Elijah didn’t hesitate to extend forgiveness. It frequently blows me away how quick my children are to accept my apologies, even when I’ve been horrible to them. I hugged and kissed him, and also hugged and kissed my four-year-old (who had suffered collateral damage from my tantrum, receiving a few harsh words of his own for minor things that ordinarily wouldn’t have been such a big deal), and we got in the car. While the instant forgiveness was beautiful and impressive, that wasn’t what struck me hardest. The really remarkable thing happened later that morning. 6858. hundreds of voices singing "O come let us adore Him, Christ the Lord!" 6816. the gift of having dear friends read my writing and say "Yes! That expresses my feelings/experiences in a way I could not put into words!" NOW we can talk about Christmas music! I do not like to get it out until the day after Thanksgiving--but then I've got it playing nearly 24/7 through the new year. My two favorite Christmas albums are non-traditional ones. 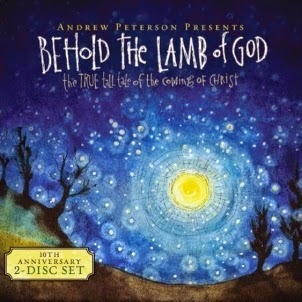 It was about five years ago that our church introduced us to Andrew Peterson's epic Behold the Lamb of God: The True Tall Tale of the Coming of Christ. I cannot praise it highly enough. It is a continuous journey through the Old Testament, seeing the shadows and pointers to the Messiah, culminating in Jesus' birth. Moves me to tears every single time--I cannot sing along to "Labor of Love" without weeping. Please, please, if you have not heard this music, do yourself a favor and buy it this year! Today it is actually on sale for only $8.99 (a two-CD set). Also, check to see whether the live performance might be happening in your area--Andrew Peterson and friends go on tour every December and perform the entire album. Perfect December date. 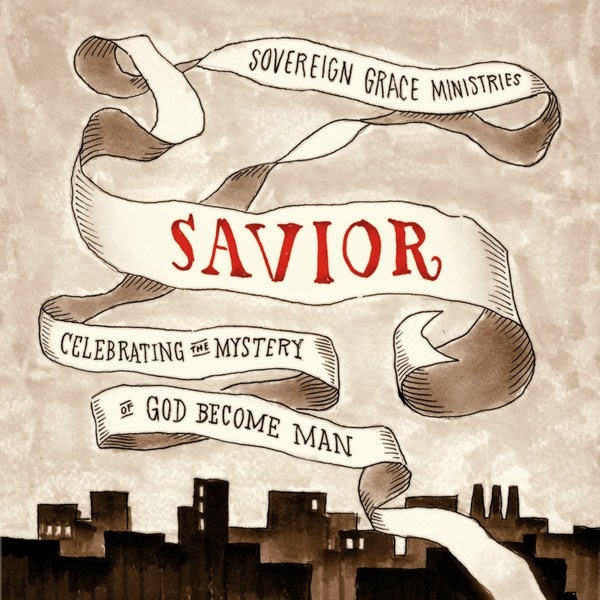 I also love Savior: Celebrating the Mystery of God Become Man from Sovereign Grace Music (full review here). The CD is only $8; digital downloads are about the same price. All-new songs that magnify the incredible truth and beauty of the Incarnation. 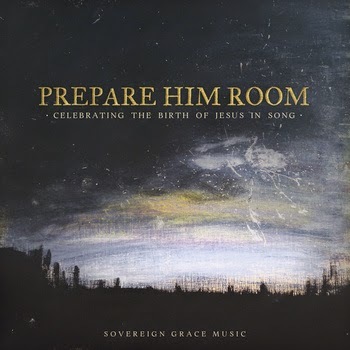 Given how amazing that one is, I didn't hesitate to buy Sovereign Grace's new Christmas album, Prepare Him Room. I haven't listened to it yet, but if it's half as good as Savior, it will be worth every penny of the $7 sale price (good through Monday)! Finally, one more bonus: I recently downloaded a FREE album of new Christmas music from Stephen Miller called Light Has Broken Through. And you can also name your price on Songs for the Incarnation from Cardiphonia. Looking forward to checking those out. 6712. the richness of language, that there could be so many words to describe "blue"
6718. his calling me "my sweet mama"
6731. the way he says "becept" instead of "except"
6772. hearing my husband say "I love you"
There are a lot of traditional Thanksgiving foods I can get excited about. Turkey is not one of them (unless it is smoked...then I will fight you for it). Roasted turkey is boring and mainly a vehicle for cranberry chutney. So what do you do with the leftovers? Wonder no more: You make panzanella. You feel really fancy for whipping up a dinner with such a glamorous name. And you enjoy the deliciousness (it's even good reheated). This is one of those meals I pretty much only make in November/December, but we've eagerly anticipated it every year since I first cut the recipe out of Taste of Home in 2009. It is worth the wait! Disclaimer: I just learned that technically, "panzanella" means "Italian bread and tomato salad." Whatever. Somehow I got the idea that it was a generic name for a bread salad more than a descriptor of a specific *type* of bread salad. I'm still calling this Turkey-Cranberry Panzanella, because stubborn. Also because it's way more fun to say and write than "Harvest Turkey Bread Salad," which is what the original was called. Bread salad? Who thinks that sounds appealing? Plus, I am in good company calling a non-tomato bread salad "panzanella." Anyway. Call this what you like, it is mouthwatering (more so than my once-again-lackluster-food-photography implies...the Taste of Home photo may entice you a little more!). Bake bread cubes on an ungreased baking sheet at 250 degrees for 12-15 minutes or until lightly toasted. Set bread aside and increase oven to 400 degrees. In a large bowl, mix 1/4 cup cranberry sauce, 2 T oil, 2 T vinegar and 1 tsp salt. Toss with sweet potato and onion. Spread vegetables in a foil-lined or well-greased baking pan (a 15x10 jelly roll pan works well) and bake for 30-40 minutes or until tender, stirring halfway through. In a small bowl, mix thyme with remaining oil, vinegar, salt and cranberry sauce. Combine bread, roasted vegetables, turkey, cranberries and pecans in a large bowl and drizzle with dressing. Yield: 6-8 servings. Note: You won't want to use all the dressing--it's pretty strong. If you have kids, you'll probably have better luck serving this deconstructed, with everyone assembling their own salads at the table. My boys will eat the individual elements of this, but they don't care for the balsamic dressing. They'd rather dip their turkey and bread in straight cranberry sauce and avoid the pecans, too. 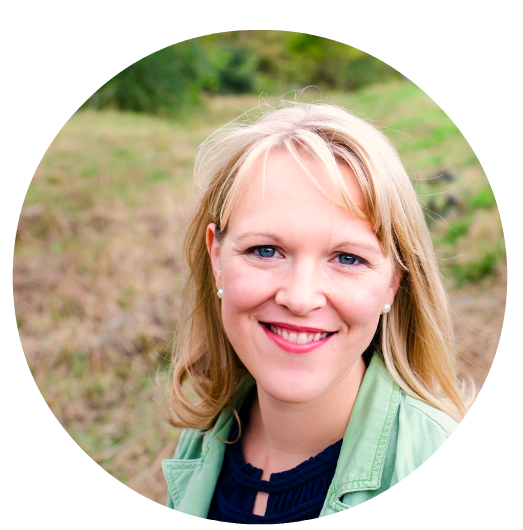 When I interviewed Hannah Anderson for a recent Ungrind article, I had more material than I could use there--so I am glad to use my own space today to continue discussing Hannah's ideas. PLUS, her publisher has promised one more copy of her book for me to give away here! “In recent decades, there has been strident debate about the roles of men and women in society and the church. Some argue that because gender is a significant, but not primary, part of identity, women should find their place through their gifting rather than their womanhood. Others volley back that gender should lead where a woman’s gifts are utilized and that they find fullest expression as nurturers. But the problem with the whole conversation is that it tends to separate a woman into parts and pit them against each other. And unintentionally, women are forced to choose between two very essential truths about themselves. The fact that I am a woman demands that in some ways my identity and roles will be different from a man’s. Despite being equal image bearers, we are not the same. God even chooses to reveal aspects of His nature through my womanhood that could not be understood otherwise. So in this sense, gender itself is as much a gift—a grace—as intellect or personality could ever be. Conversely, my imago dei identity cannot be summed up by my womanhood alone. While being a woman is essential to my identity, I am not ‘simply’ a woman. There is a part of me that transcends my gender, so in the end, regardless of how conservative we may be, we must all agree that a woman has more in common with a man than she does with a female cat! The paradox of identity is that I am both a woman who is a person and a person who is a woman. And this will never make sense until both my womanhood and my personhood are united in Jesus Christ." AMEN. I so love Hannah's determination to strip away all the baggage various branches of the church have brought to the "gender roles" conversation and establish a common-ground foundation: Women's primary identity as image-bearers of the eternal God, created to reflect Jesus Christ. Chapters 8 and 9 (“Queens in Narnia: Embracing Your Destiny to Reign” and “Toward Perfect Union: Living Holistically in a Fractured World”) are worth the price of the book. I only wish chapter 9 had been written about a decade ago! How I remember the painful wrestling with my identity and calling as I was graduating from college and preparing for marriage. I absolutely loved Hannah’s metaphor of identity as a multifaceted diamond—it resonated so deeply with my journey and my struggle to reconcile opposing parts of who God has made me to be. I still feel like there are plenty of unanswered questions as we attempt to move from vision-casting and lofty theology to concrete, practical choices--but I love how Hannah has reframed the discussion and am thrilled to promote ongoing conversation about this both online and in the local church. In chapter 7, you talk about the dangers of identifying first and foremost as women, therefore making womanhood our central focus instead of Christ. You shared at Ungrind about why you think women’s ministry has so often been restricted to the “pink passages.” As a follow-up to that, how can the church “make room for feminine voices that can speak and write about doctrine and theology,” as you suggest? HA: When I suggest that we need to make room for “feminine voices,” I’m emphasizing the truth that our experiences as men and women lend us different eyes on the same truths. For example, a woman who has gone through pregnancy and childbirth will have an entirely different insight on the process of spiritual birth than a man ever could. We must welcome these perspectives without women feeling like they have to relinquish their womanhood in order to share them. If we truly believe that God did a good thing when He made us male and female, womanhood has been given to us to reveal something about God’s nature that manhood cannot. As churches, we must find ways for both men and women to speak to the Body of Christ on doctrinal and theological issues. At one point in the book, you acknowledge that “pursuing imago dei simplicity is anything but simple”…but then somehow “when you look to Jesus,” it will all magically fall into place. HOW, specifically, can we fight for wholeness and an imago dei focus in our own lives and in our sisters? HA: For me, the struggle for simplicity is a process of constant re-evaluation, of learning to align my priorities with God’s priorities. When we hear the word “simple,” we often think “easy”—but that’s not the case at all. Simplicity means that the different planes of your identity are working together and you exist in God’s shalom even in the midst of busy, chaotic times. Hannah, it has been a delight to interact with you about this book and its ideas. 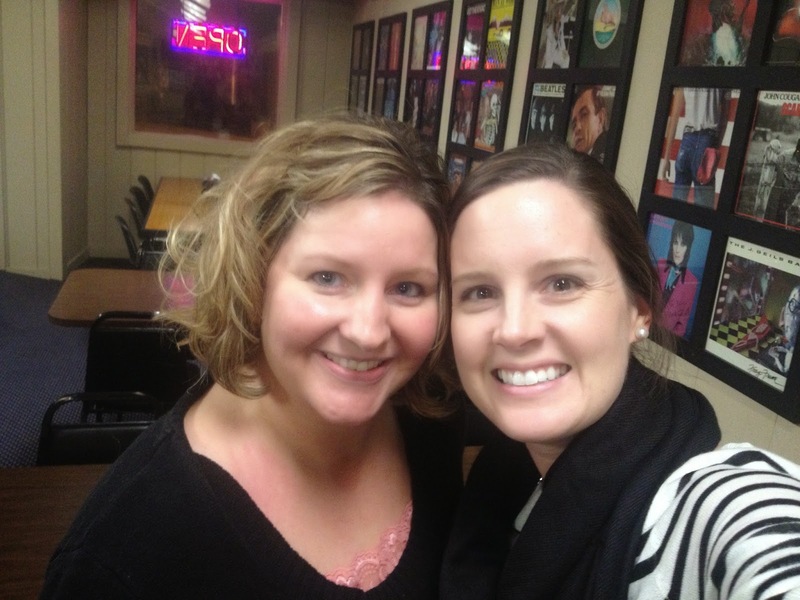 Thanks so much for your time and for your winsome efforts to refocus women's identity around imago dei! 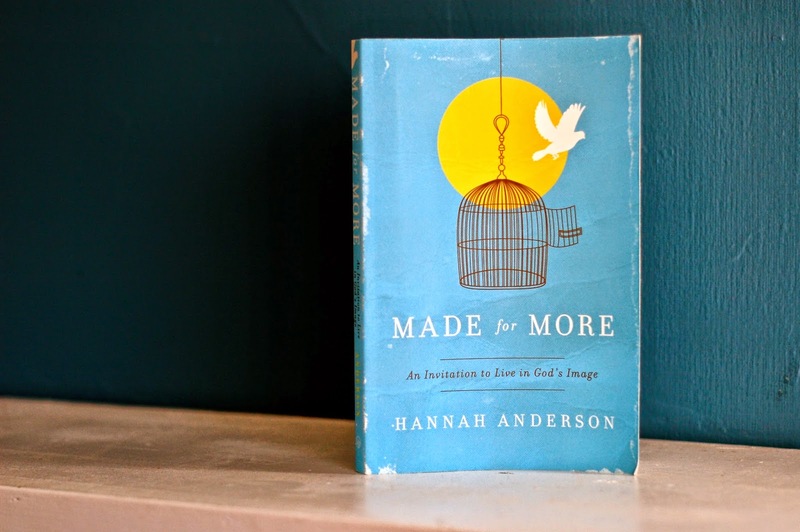 Grab a copy of Made for More: An Invitation to Live in God's Image at Amazon...or enter below to win! And to read more from Hannah Anderson, check out her blog, Sometimes a Light, or follow her on Twitter for frequent links to her articles around the web. I've never run a Rafflecopter giveaway before, so we'll see how this goes...thanks in advance for your patience :) Winner will be chosen on Sunday, November 30! Inspired by Leigh McLeroy's book Treasured: Knowing God by the Things He Keeps, I'm asking: What tangible pieces of my spiritual history would I place carefully in my own cigar box for safekeeping? What stories have shaped my journey with this ever-faithful, treasure-keeping God? Below is part eight of the "Treasures" series. Yet by the end of my college career, I would identify my time with the University Chorale as the most meaningful part of my college experience, the absolute last thing I ever would have given up. How can I sum up what membership in that group grew to mean to me? I spent frantic hours in the practice rooms, plunking out the second soprano part and trying to memorize songs the upperclassmen could sing in their sleep. On our first major trip, to the Gaithers’ “Praise Gathering,” I got yelled at by upperclassmen for “cutting the risers.” I didn’t even know what that meant. And yet, even with the intimidation---even as I floundered in loneliness and struggled to learn my lines, find my place---I fell in love with this group. At 4:30 PM, four days a week, our conductor would sit down at the piano and play “More than Enough” or “I Want to Be Like Jesus,” and all sixty-five of us would flood the cinderblock walls with praises. During my second semester, word spread that the chorale’s former conductor would return the following fall. He had left the university just before I arrived, causing no small amount of drama among the upperclassmen. Some had quit, unwilling to continue without Dr. Todd Guy at the helm. They told terrifying stories about him, yet they adored him. The women’s chaplain, a junior who was mentoring me, was thrilled at the prospect of Prof Guy’s return, but I was dismayed. I loved Todd Syswerda, the professor who had taken Prof Guy’s place and the only conductor I’d ever known. I wasn’t sure I wanted to experience this legendary man who had been known to bend music stands and rip the clock off the wall. Again, I couldn’t have imagined how much I’d grow to love Prof myself, or the influence he’d have on me over the next three years. Yes, he was demanding. Yes, his temper occasionally exploded. But he was the most passionate man I had ever known, and his passion was for us to make excellent music, the caliber of praise that our glorious God deserved. We didn’t talk during rehearsal. We held our folders at eye level (after four years of that, it took me a while to break the habit of wanting to hold my hymnal that awkwardly high during church). We stood on the balls of our feet and never, never took our eyes off our conductor. We ended words with mouths wide open, producing “high, forward, resonant” sound. And we took Prof’s exhortations to heart—phrases he repeated so often they were almost meaningless clichés, only they weren’t, because he meant them every time. He’d point to the framed photos of former chorales lining the wall behind him, and tell us that they were watching us, expecting us to uphold the legacy they’d helped to build. He’d tell us that 4:30 was our sanctuary, our time to leave everything else at the door and come worship. And it was, and I did. Prof worked so hard during rehearsals that the knees of his pants would grow dark with sweat. Never before or since have I seen a conductor move so much, communicate so much. I’m sure other choirs made fun of him behind our backs, just as we scorned their conductors for being so wishy-washy and unclear. Let them mock; Prof was dancing on that podium, and it was beautiful to behold. Every flick of his wrist gave you direction. If you watched him, he’d tell you *everything*---entrances, cutoffs, tempo, volume, feeling. And in a concert, we’d be singing “Give Me Jesus” and the tears would roll down his cheeks. My own voice would waver as I wept, a song practiced hundreds of times somehow fresh again and full of glory, its lyrics reflected on Prof’s face as he waved his arms and worshiped. Chorale was worship, and it was also tradition. It was family. I’d never made such music; I’d also never known such community. All but one or two of my closest friendships during college arose from that group. We’d hold hands all throughout our last concert every year. During the benediction, Prof would point to each senior and mouth “I love you” as we all choked back sobs and tried to continue singing. Once I rose to the rank of upperclassman and became an officer, I turned into one of those loud, bossy seniors who barked at the freshmen, wanting them to drop their high school arrogance and learn their place, wanting them to respect the traditions and uphold the standards, wanting to place my own bricks on that growing legacy. We were strict because we loved the group so much, because we couldn’t bear to think of it declining on our watch. We sang Handel’s Messiah and pieces newly written by student composition majors. We performed African spirituals and modern psalm settings, Russian alleluias and haunting medieval melodies and arrangements of traditional hymns. We spat out words, literally, overenunciating to the point of ridiculousness (someone once asked me why we sang “Cheesus”). And we produced truly otherworldly harmonies. He showed me, four afternoons a week and several weekends a year, what that looked like. And the IWU Chorale gave me countless unmatched opportunities to lift my voice in majestic praise to the Creator of life and breath and music, to the Savior who gives us reason to sing. 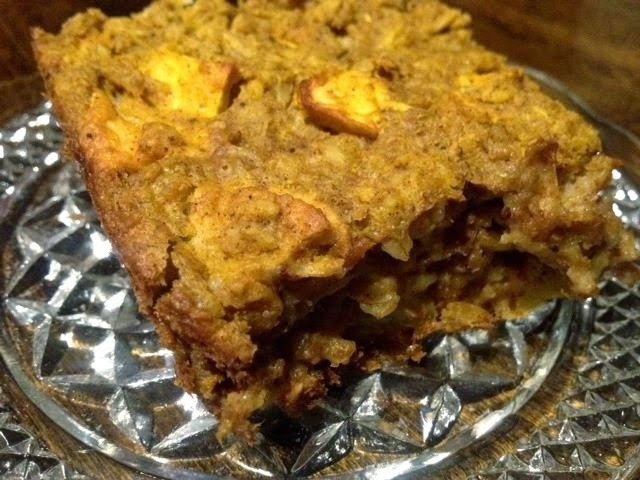 It's that glorious time of year when people are eating and drinking pumpkin spice everything...and this fall I decided it was time to pumpkin-spice-ify one of our favorite breakfasts: baked oatmeal. Don't judge a baked oatmeal by its photo...oatmeal is difficult to photograph attractively! I don't have the skills but I promise it is DELICIOUS! I'm not gonna lie, it's way more of a pain than cooking up plain old oatmeal for my boys--which is why if I'm going to the trouble, I always double it and bake two pans side by side. It freezes beautifully--just cut it into squares and spread them out on a cookie sheet lined with a Silpat (or parchment or wax paper). Freeze them on the cookie sheet, then once frozen, transfer the squares to a ziploc bag. Super easy to pop a single serving out of the freezer in the morning--two minutes in the microwave and you've got a hot, delicious, nutritious breakfast! I actually did this in advance for our beach vacation last summer, which meant we got to start each day with a cheap + wholesome + effortless meal. 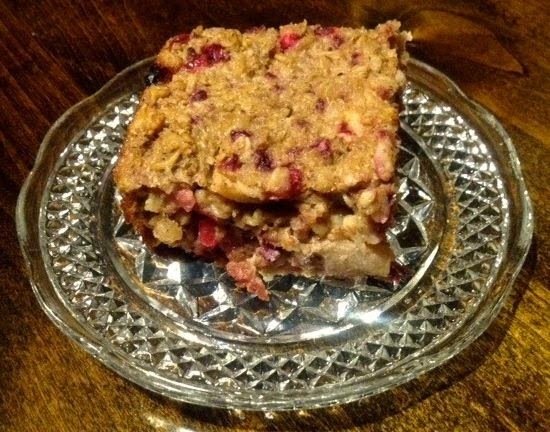 Baked oatmeal can run the gamut from "fancy name for cake" to "tastes like health food." This one is pretty low in sugar, but still has great flavor. I'd *like* it to be sweeter, since I have a raging sweet tooth, but I still very much enjoy it. And my boys are used to eating oatmeal sweetened only with fruit, so they think this is a huge treat. I love how forgiving this recipe is--you don't have to be a pro in the kitchen. This past time, I accidentally had the oven cranked to 425 for the first 20 minutes and it still turned out beautifully. My next goal is to convert it to a crockpot recipe and see if I can get it to cook overnight so we can wake up to that delicious smell and a hot breakfast with zero morning effort! We've tried many variations and loved them all. 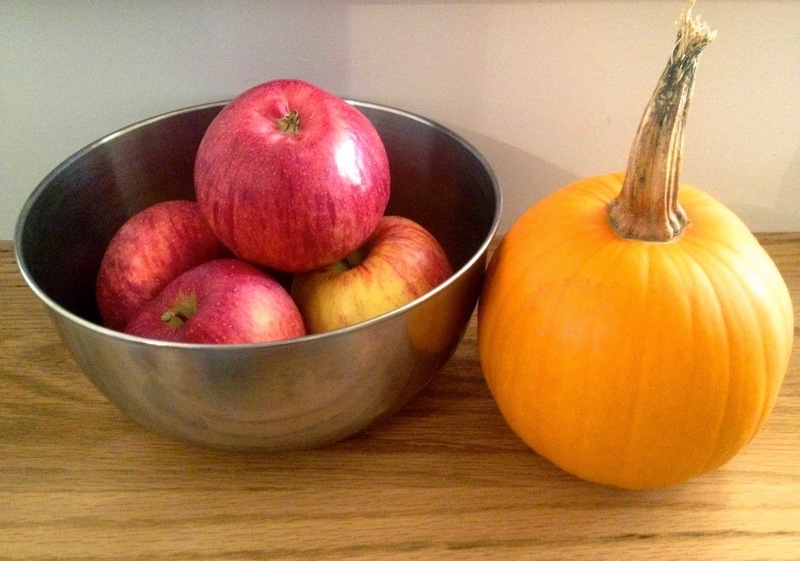 Spiced cranberry-apple; peach; blueberry; blackberry-apple...and now, pumpkin apple spice. FYI: There are a lot of explanations out there for why soaking grains is important. I actually haven't delved into that aspect of traditional cooking much; 99% of the time, I don't bother to soak. But this recipe calls for it, so I'm glad to just follow along and do it (lots easier than learning new methods and recipes for things I already knew how to make in a non-soaking way). Combine 4 cups regular rolled oats + 1/3 cup raw apple cider vinegar (or whey or lemon juice) + 6 cups water in a large bowl. Cover and soak at room temperature for up to 24 hours. Preheat oven to 375 degrees and grease a 13x9 baking dish. Drain the oats in a large strainer (with fine holes) and rinse. Leave them to drain while you prepare the other ingredients. In the large bowl that held the oats (no need to dirty more dishes, just rinse it out well), whisk together coconut oil, milk, eggs, syrup, vanilla, spices and salt. Stir in oats and fruit. Pour mixture into a greased 13x9 baking dish, smoothing it evenly into the pan. Bake for 45-60 minutes, or until golden brown and a knife inserted in the center comes out clean. Let the baked oatmeal cool for 10-15 minutes before cutting and serving. We like to eat this in a bowl with milk--but you can eat it with a fork on a plate, either plain or drizzled with butter and more syrup. *Note: If your family is accustomed to sweeter oatmeal and breakfast foods, you may want to increase the sweetener. And if you use sugar instead of maple syrup, you'll have to increase the volume anyway--start with 1/2 - 3/4 cup if you're using brown sugar or sucanat. Notes: The spices for the pumpkin spice recipe are great with cranberry, but for blueberry or blackberry, I leave out all but the cinnamon. I cut blackberries in half if they are large ones (but you wouldn't have to--it just spreads them out in the batter more). If you use cranberries, chopping is important--they are too sour to make a bite of a big, whole cranberry appealing! I throw the still-frozen berries in my blender or food processor to chop them up pretty finely. 6702. Jude humming gospel songs, whispering to himself "Your grace has come to me..."
Amy: "Hang on, I gotta throw a couple of pictures up on my blog and call it a night." Steve: [chuckling] "You get credit for that?" Amy: "Oh, it totally counts. Halfway through the month and I haven't even done it once yet."